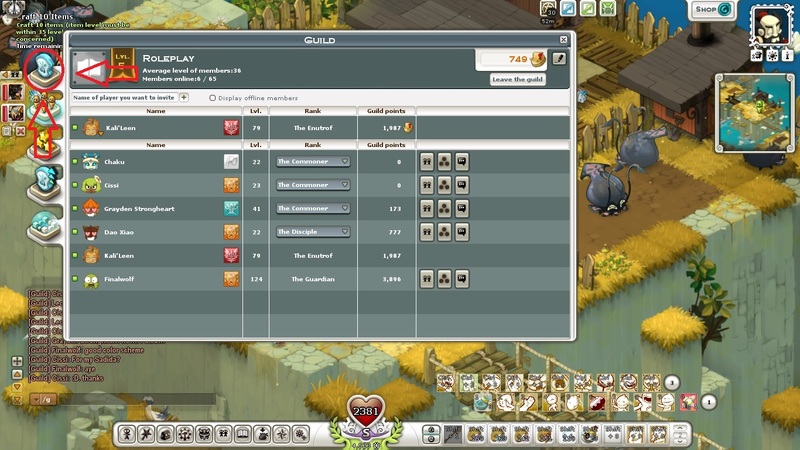 Hey all, just letting you know that we have an incentive program to get you guys out there an earning those guild points! On top of the in game bonuses we already earn by spending them the senior members have decided to add prizes for reaching milestones. 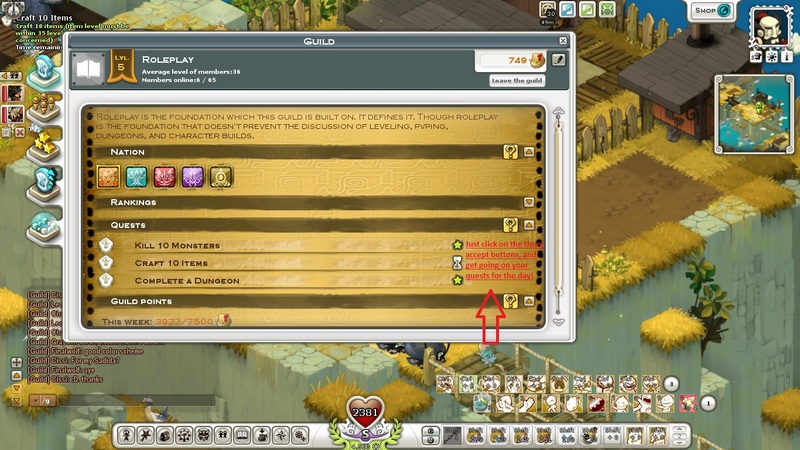 How do you earn Guild points you ask? Well here is a very simple guide. If you hit the circled button this screen will pop up and you can hit accept on all three (buttons are normally where the red text is) then you can get started on doing them. The daily dungeon seems daunting I know… espically if no one else is on! But you can do the Grandmeow’s vault until you’re about level 58… and that shouldn’t take anyone more than 5-10 minutes. If you guys ever want more bags than this from me I can also make them for you, but you’ll have to provide the materials. Silken Bag- Moskito wings (60), Regen Silk (1), Arachnee Silk (36), Glossy Dye* (20). Raw Leather- 3 Bow Meow Hairs 3 Crowned thistle ea. Gobball Leather- 2 Gobball Skins ea. Glossy Dye- 3 Flax flower, 1 Ditzy Flower ea.